A newly discovered lifeform runs amok on the International Space Station. Inspired no doubt by the recent movie marketing shocks of 10 Cloverfield Lane, Blair Witch and Split, director Daniel Espinosa's sci-fi thriller Life has provoked some theories as to its possible connection to other existing franchises. 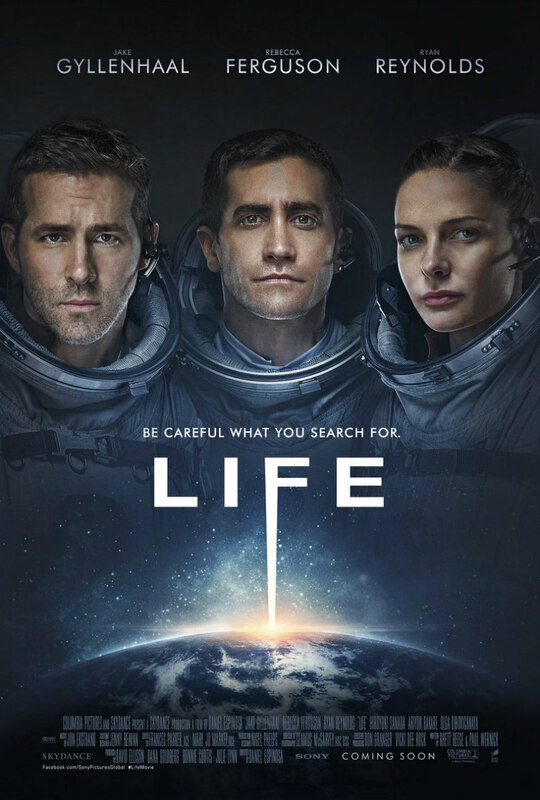 I can now confirm Life is a standalone film, an original concept, albeit there's not much originality on display. Life is a simple, old school monster loose on a spaceship movie, but a pretty good one. At some point in the near future, the crew of the International Space Station have just made history by discovering the first sign of life on Mars in the form of a microscopic cell. At least, that's how it begins. Like the Chicken Heart of the classic radio drama and subsequent Bill Cosby routine, the lifeform, dubbed 'Calvin', begins to grow. At first it seems merely inquisitive, responding to stimuli and displaying signs of intelligence, but it's not long before it begins to shed blood, endangering the ISS crew and humanity itself should it find its way to earth. Life is a largely satisfying mix of classic '50s b-movies and the sort of sci-fi chillers that emerged in the wake of the success of Star Wars and Alien in the late '70s and early '80s. Aesthetically it resembles something the under-rated Peter Hyams (2010, Outland) might have given us back in the day. Thanks largely to the pristine work of cinematographer Seamus McGarvey, who is creeping up on Roger Deakins as the best DoP working in modern Hollywood, it has a classy and polished aesthetic. Gone are the choppy, ADD editing routines of Espinosa's earlier films, replaced by a more studied, patient approach to building tension. 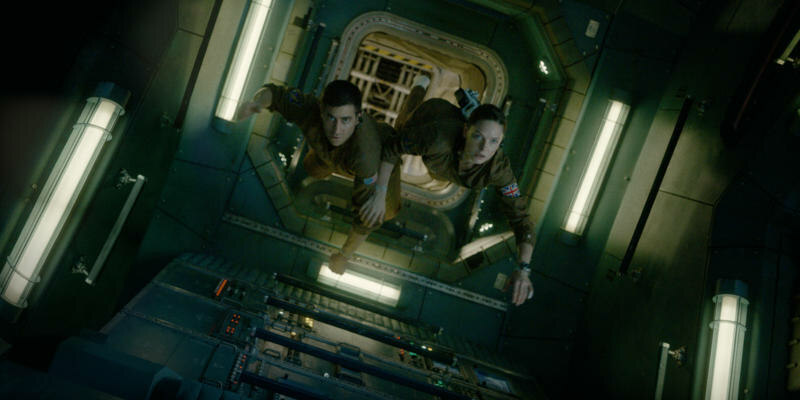 The recent work of Alfonso Cuaron and Alejandro Gonzalez Inarritu is clearly an influence too, particularly in the opening sequence, an extended take that brilliantly conveys the weightlessness of zero gravity thanks to some flawless FX work, the camera seeming to float as it introduces us to the film's human protagonists. Said humans play a key role in elevating Life above recent Hollywood genre fare. They're played by an impressive and diverse cast, and despite the varying degrees of star power on display, they're all introduced as equals, which keeps us guessing as to who dies next. Each character is developed just enough for this sort of narrative to make us care whether or not they get offed by the malevolent Martian. Most notable is the smartest guy in the room, Hugh Derry (Ariyon Bakare), a rare black male portrayed as intellectual and sensitive while also living with a disability that the film never exploits. Elsewhere the movie allows its male heroes to shed tears while portraying its women as the capable professionals such a mission would require. Life is no sci-fi masterpiece, but it's classy and competent, and like those pillars of the genre, Alien and The Thing (and unlike Prometheus) it features intelligent protagonists who never behave like moronic teens in a slasher movie. Like its amorphous antagonist, it may not be quite what you're expecting, but it's worth discovering nonetheless.